AMBAG Co.'s launching of LADYBUGS for 3 charities. 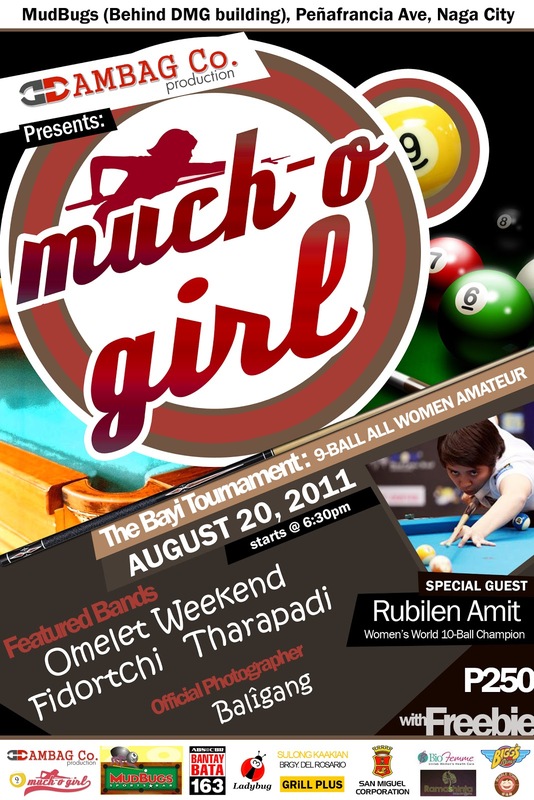 GIRLS, Get to love Billiards! This is like saying, " Girls.. just wanna have fun"
or from a t-shirt print, "Some Girls have all the luck"
All these empowering statements took AMBAG Co. Production to a place where girls can definitely shine in style, Mudbugs Sports Bar. With the help of Ladybugs consultants Mokie, Chin and Jem, the establishment of the billiards club has moved from almost nothing to a 'something'. There is a chance to hone such skills through the launching of LADYBUGs: billiards club, previously called WABC, open to all women interested to learn the sports: billiards, and have the right attitude to do so. Because having potential without discipline and practice leads to a dull billiard life. the 9-ball all women tournament enables each eager player to do the best of her ability drawing out the positive vibes of a true sportsman. The said amateur tournament doesn't require the player to pretend to be a Pro lest she strains herself and lose the essence of fun and entertainment behind the sport. For registration, Pls contact AMBAG 09274633782. Get a chance to win more prizes, bagful of goodies and recognitions. 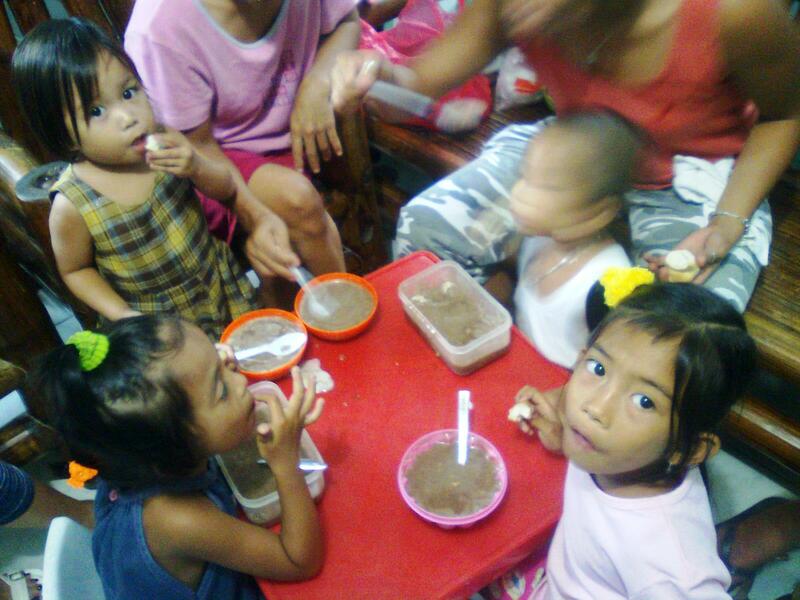 Remember, every laugh we make serves as one spoonful of food for our benefeciaries in BANTAY BATA - 163 Bikol and some 70 underweight children in BRGY. Del Rosario under the SULONG KAAKIAN FEEDING PROGRAM with sponsored dates August 15-19, a team effort between Brgy. office and Brgy. Nutrition Center with goodgovernance by P/B Jose T. Peñas as Brgy. Captain, Kgwd Yolanda Regidor as Kagawad on Health and Mrs Flor Mariano as BSN.